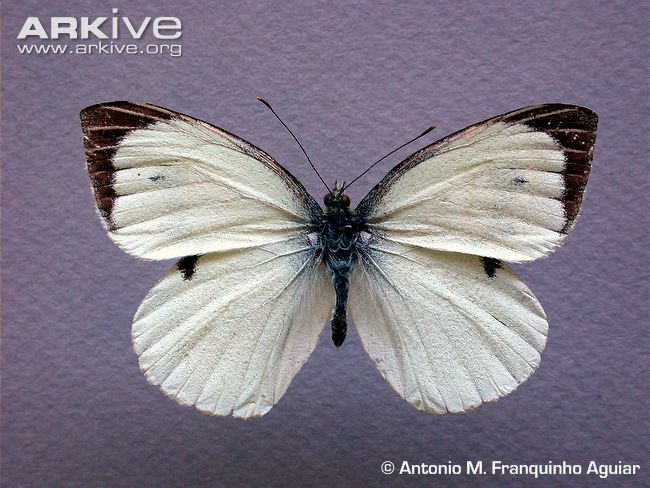 The Madeiran large white butterfly is one of the many species that were last seen in the 20th century. We can’t absolutely be sure about the extinction of these species – the IUCN Red List assesses them usually as critically endangered, possibly extinct – but in the case of this butterfly unfortunately it’s rather certain that there is no hope anymore: since the 1980s there were several searching attempts organized to find living specimens on the relatively small island of Madeira – all unsuccessful. Date of extinction: Many sites list 1977 as the date of the last confirmed sighting – in fact, the last specimens of the species were collected in 1986. Range: Endemic to the Macaronesian island of Madeira. Habitat: The Madeiran large white used to live in the laurisilva (laurel forests) of the north-exposed valleys of the island where many nectar-rich plants like thistles and knapweed and diverse types of crucifers – the preferred host plants of the larval stage – grow. 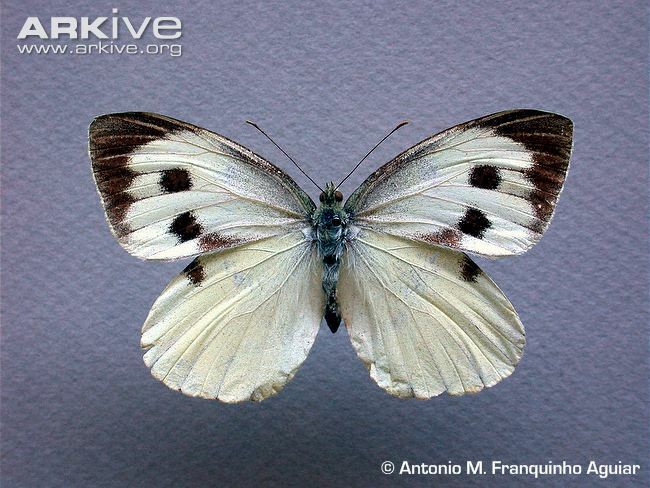 Description: The Madeiran large white (Pieris wollastoni) was considered for many years as a subspecies of the fairly common Large white (Pieris brassicae) – the cabbage butterfly, but it is now regarded as a good species of its own. 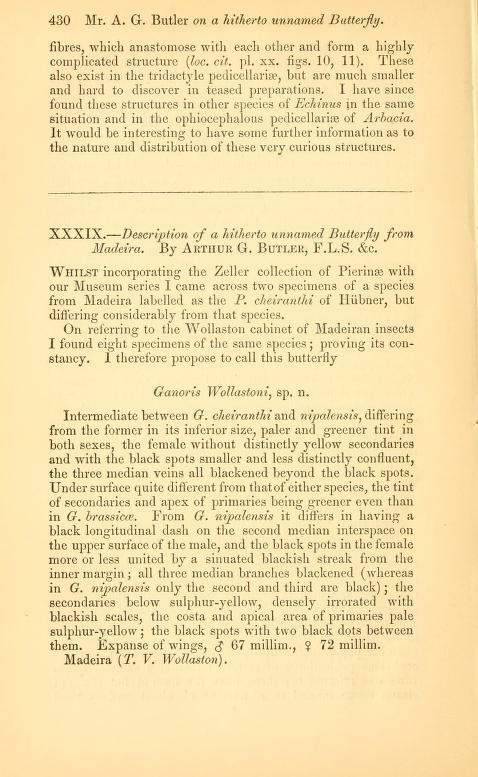 It was first described in 1882 and – as its name suggests – it had considerable size: 67 -72 mm wide white wings with dark tips and spots on the forewings (females were colored more yellowish, with more spots than the males). The caterpillars were green with black lumps and yellow stripes on the upper part of the body. They used to produce several generations a year from March until late October. 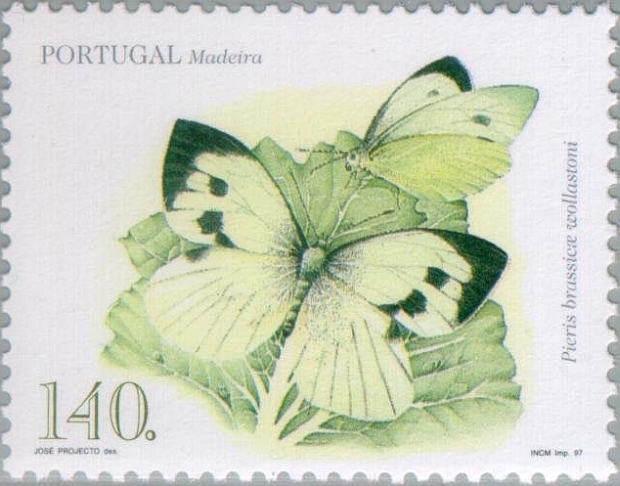 The Madeiran large white is one of the species featured on a stamp collection issued in 1997 about the butterflies of the island. Cause of extinction: Continuing decline in the area, extent and quality of the natural habitat and possibly a parasitoid wasp or an outbreak of virus infection caused by introducing the small white (Pieris rapae) to Madeira in the 1970s were the most important factors leading eventually to the extinction of the subspecies. My special thanks to Mr. Antonio Aguiar for his expert help. 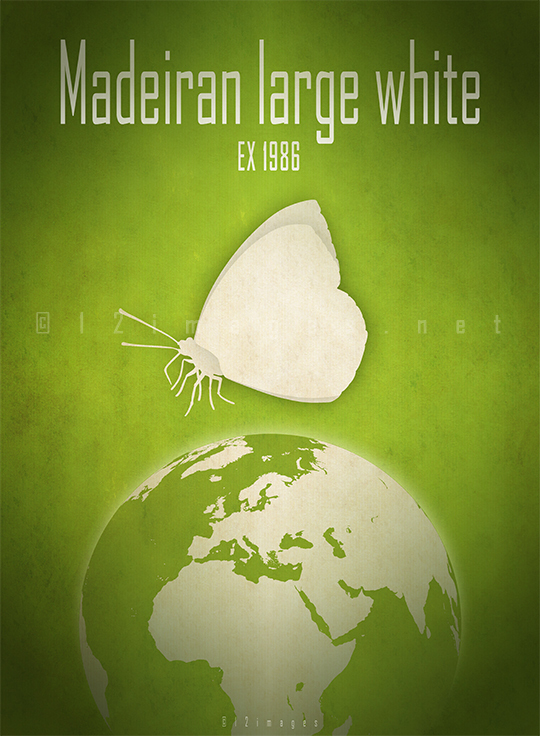 The Madeiran large white butterfly poster at the top of this post is available in my store on Redbubble, with design variations more suitable for apparel and other products. My whole profit goes to the Sea Shepherd to support their fight to protect our oceans and marine wildlife.